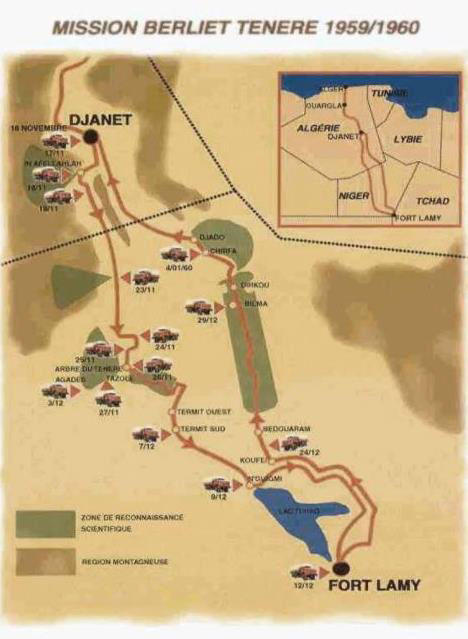 A new direct route across 10,000 km of desert opened up in just 50 days The aim of the Berliet-Ténéré expedition, initiated by Paul Berliet, was to prove that a direct truck link was possible through the desert between North Africa and Central Africa. This carefully-prepared mission was manned by 65 people, and included a Berliet team, a scientific team, a Bell helicopter, a Cessna aircraft, a press and cinema corps and an Isofrigo refrigeration team. The vehicle fleet consisted of nine 6x6 Berliet GBC 8 M Gazelle trucks fitted with Magic engines and five Land Rovers: three 109 Series and two 88 Series. Each Gazelle had its own distinctive colour depending on its cargo load, which led to the expedition being called the "Desert Rainbow". DVD film – BERLIET “Les Tonnes de l'Audace - Mission Ténéré 1959”, filmed in 1959 - 52 min. 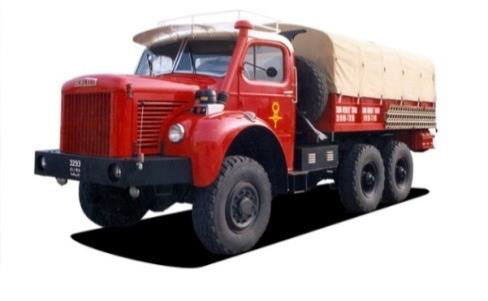 "Berliet provided a brilliant demonstration of the agility of its new 6x6 GBC "Gazelle" trucks which meant that Algiers University researchers could benefit from modern prospecting equipment. The expedition thus took on a scientific dimension: the study of the Ténéré region's geological, hydrological, and archeological treasures under optimum conditions."